I had a lot of fun picking out some football crafts to share last Sunday while I was watching the Jets beat San Diego, so I said if you checked back on this Sunday I would have more football crafts for you to look at and work on while watching the Colts beat the Jets. As I was getting ready for the blog, I realized that it would be a lot better for you to have these craft ideas the day before the games this week, in case you wanted to bake the fantastic cupcakes I found on hostessblog.com, or one of the football brooches I am going to show you how to make in today’s blog. 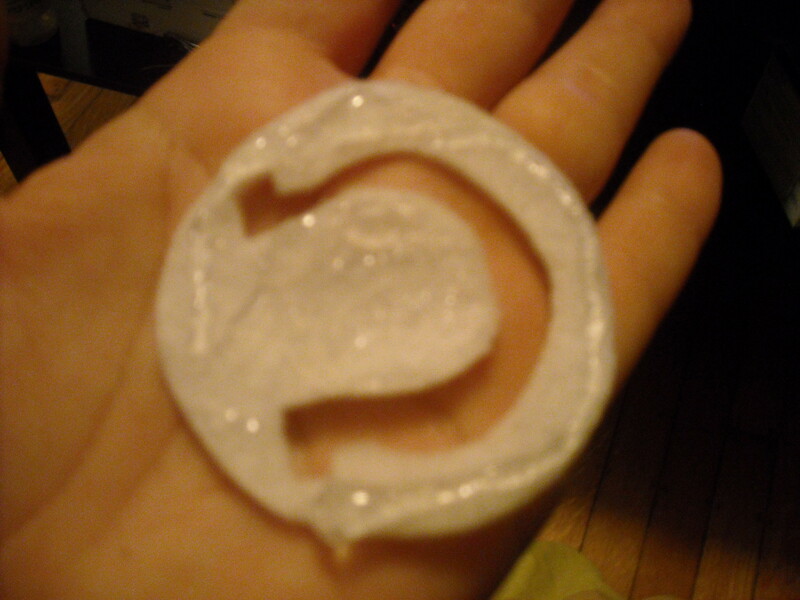 So, I finished up making the brooches earlier than I planned so I could share with you. It’s a pretty quick tutorial. I will apologize in advance for the lower than normal picture quality. It’s been so gloomy and rainy this week, and it is harder than I ever imagined to get a good photo in my house where there is zero natural light (yet another reason to invest in a light box I suppose). So, let’s go through the football directions first because it is a bit simpler. 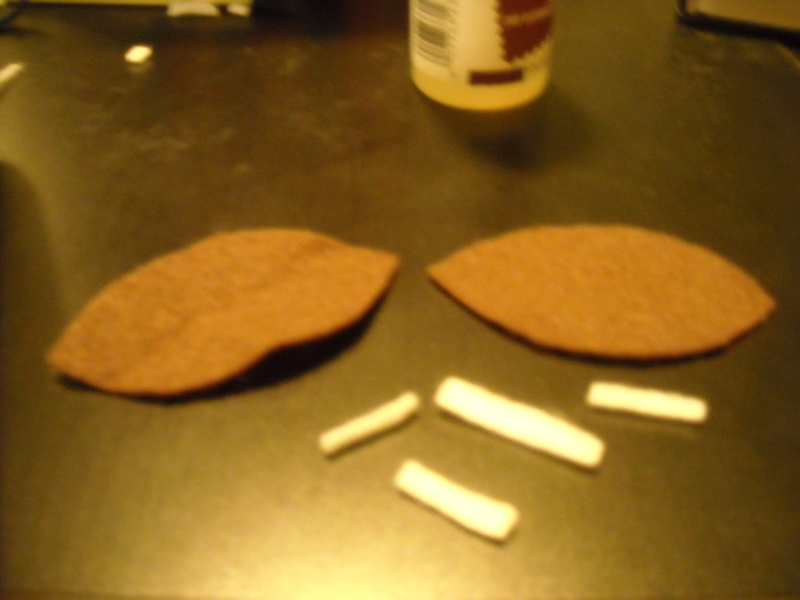 What you’ll need to do is cut 2 football shapes of equal size from brown felt, and one long “lace” and 3 short “laces” from the white felt. Use your fabric glue to glue the long lace down the center of one of the football shapes, and then glue the 3 shorter laces equally over the longer one. 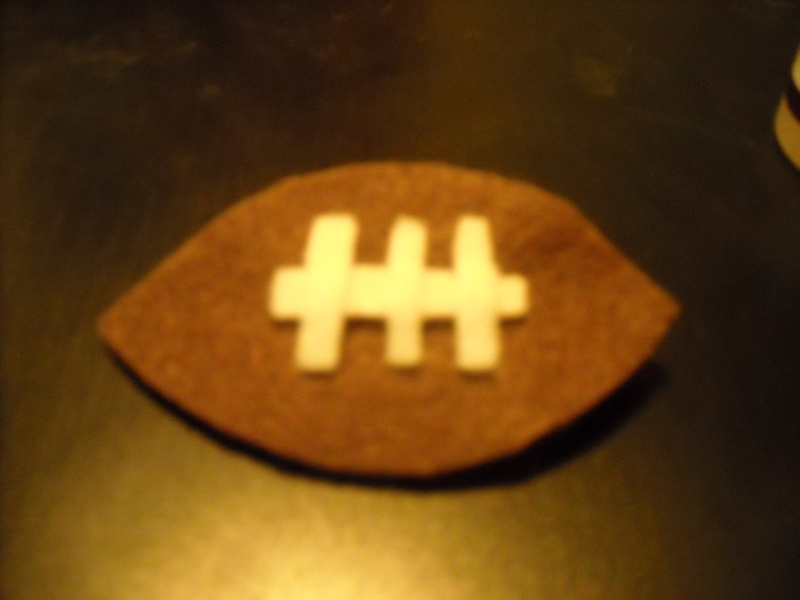 With the other football shape, use your needle and thread to securely sew the pin back to the center of the felt football. The last step is pretty simple. All you need to do is spread some glue all over the back side of the football with laces on the front, making sure to get it to the edges, and place it on the back side (pin-less side) of the other football and glue it together by pressing it together and making sure it is lined up on all edges. 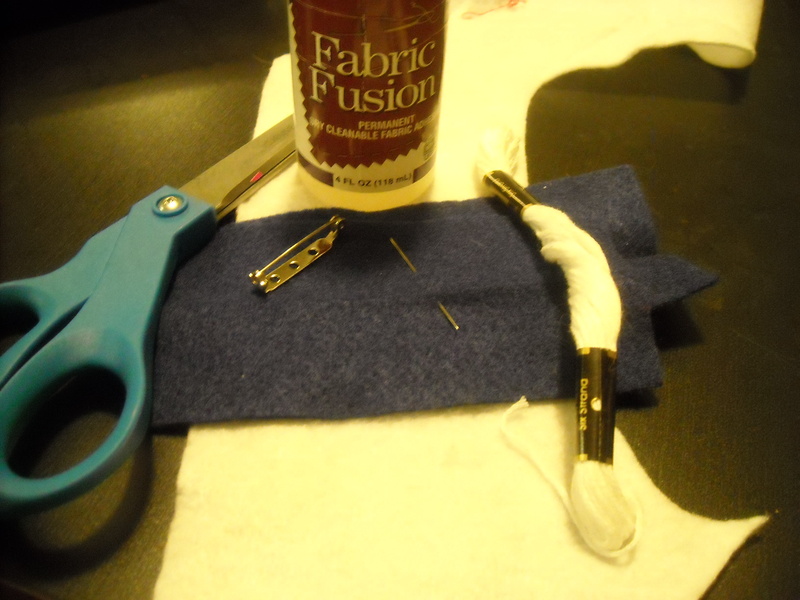 If there is a bit of overhang, you can trim it up with scissors after the glue dries. Once the glue is dry you can pin it on your sweatshirt on game day, or put it on your coat lapel and show your love for the sport up through the Super Bowl! 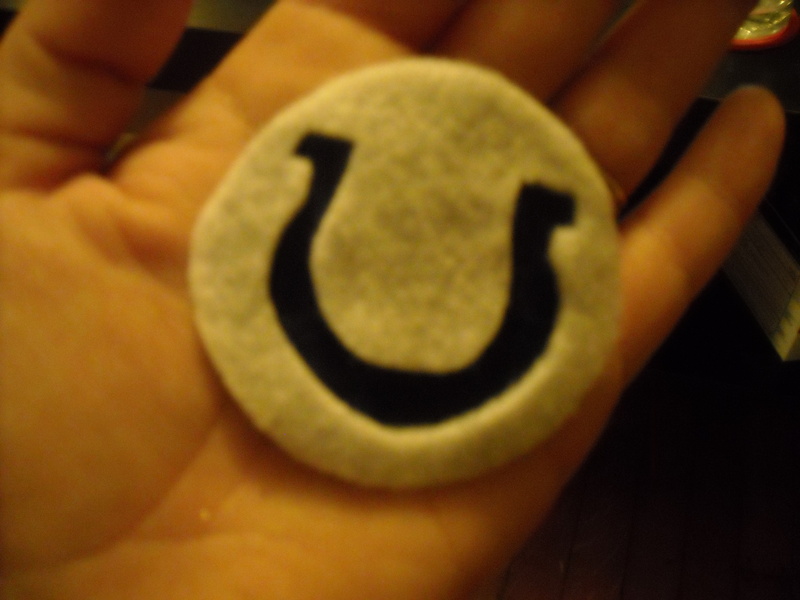 Ok, now for the Colts brooch. 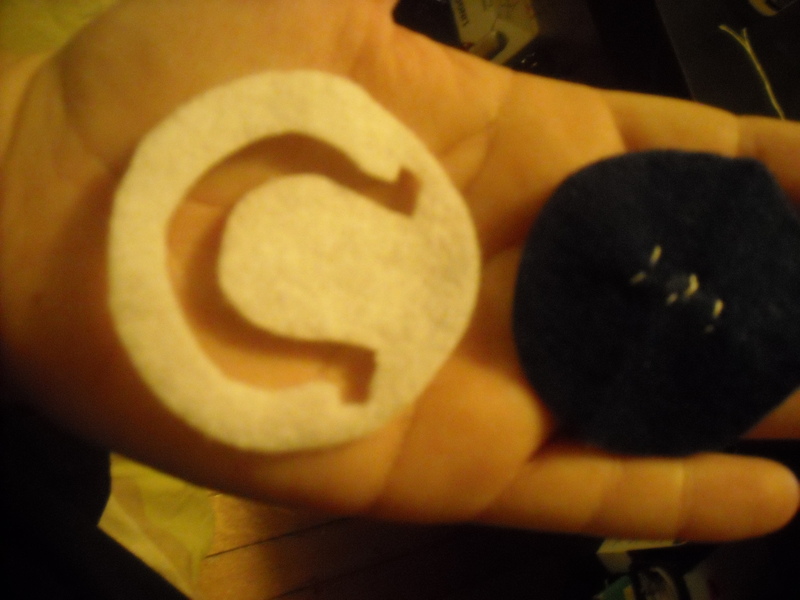 What you’ll need to do first is cut two circles of the same size, one from blue felt and one from white. 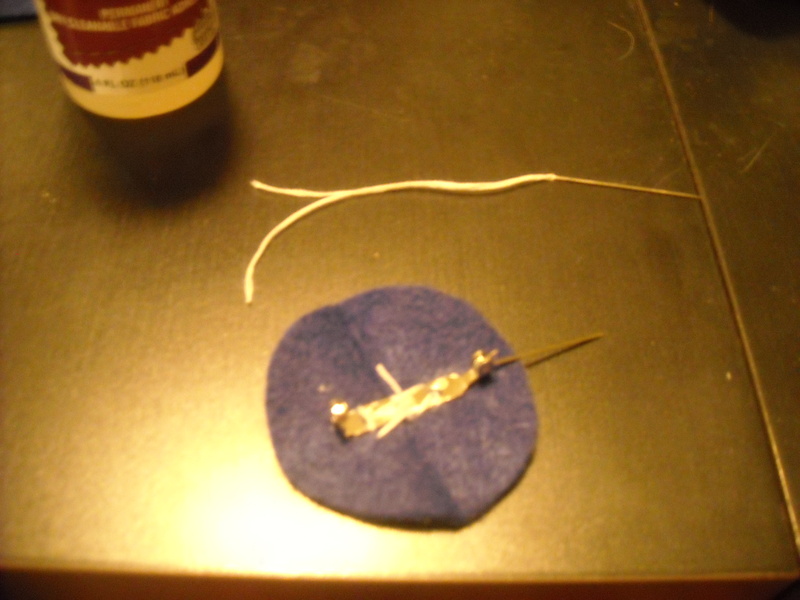 What you need to is use your needle and thread to sew the pin back onto the blue circle of felt. and then press it onto the blue piece. One thing I forgot to mention is that you’ll want to make sure the center “tab” part of the horseshoe covers the threads from where you stitched on pin back. 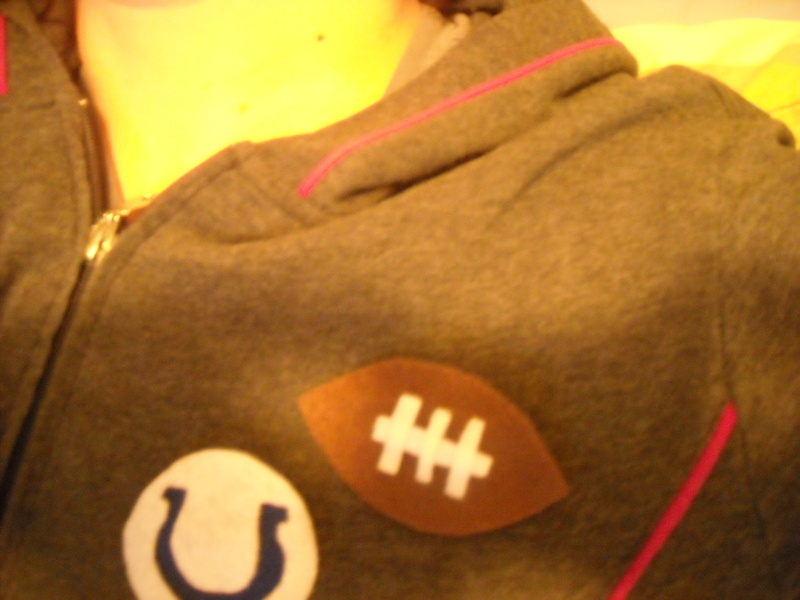 And here you go, after the glue dries, you have a great and fast Colts themed brooch that you can wear all weekend long to show your support for the team. Go Colts! Ok, if you are feeling super crafty and like baking, I found this link via Twitter. It’s a blog called Hostess with the Mostess and it looks pretty great overall (hello! chocolate mustache lollipops), but these cupcakes alone are pretty amazing. My favorite is the Football Cupcake. It’s totally amazing! 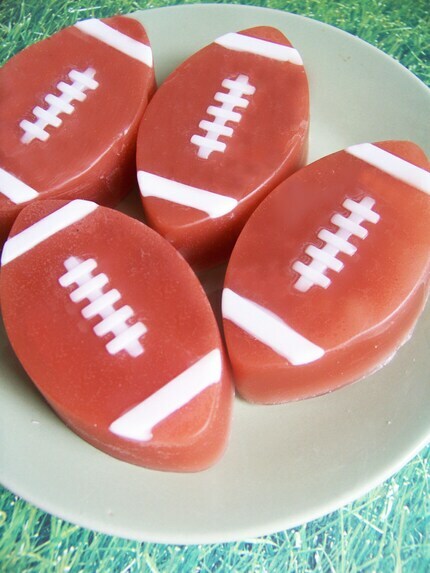 One last football thing I found this week that I really liked and wanted to share was this super cute (and chocolate) football soap from LoveLee’sSoap over on Etsy. 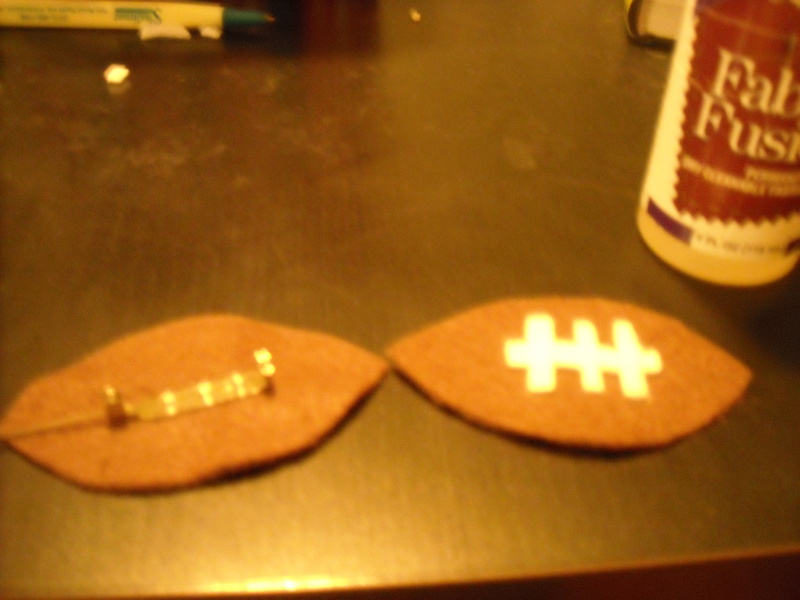 If you don’t feel like making any football crafts, you can still pop over to Etsy and buy these! Well, this ends my football craft round up for this week. I hope you liked the second installment. I’d love to hear if you have done any football related crafts, and would love if you would share them. Maybe I’ll feature it on Super Bowl weekend Football Craft Round Up!